Back in February, I came across The Weaving Kind on Instagram, and it fast become one of my favorite accounts. Weaving isn't a portable activity for me. My loom is a huge piece of furniture, and it's something I do alone. While I do love the time alone, I often miss the energy of a room full of weavers like those I learned to weave in back in college. 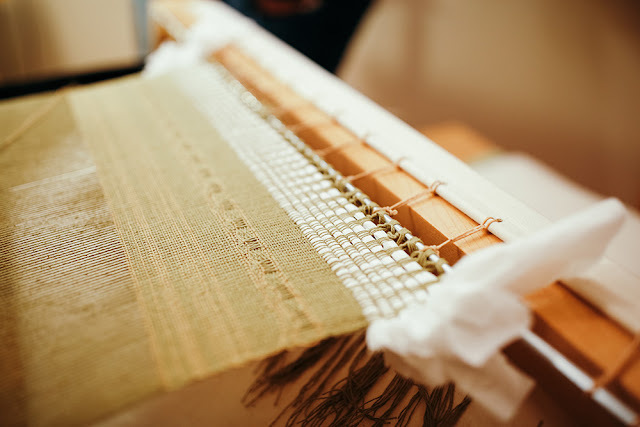 In a way, finding this online community of weavers has helped me feel connected to other weavers, in their studios around the world. While I used to run a handmade business, I've changed gears in recent years and am trying to remember what it was like to just make stuff. Make art just for the sake of it, without a price point or end use in mind. 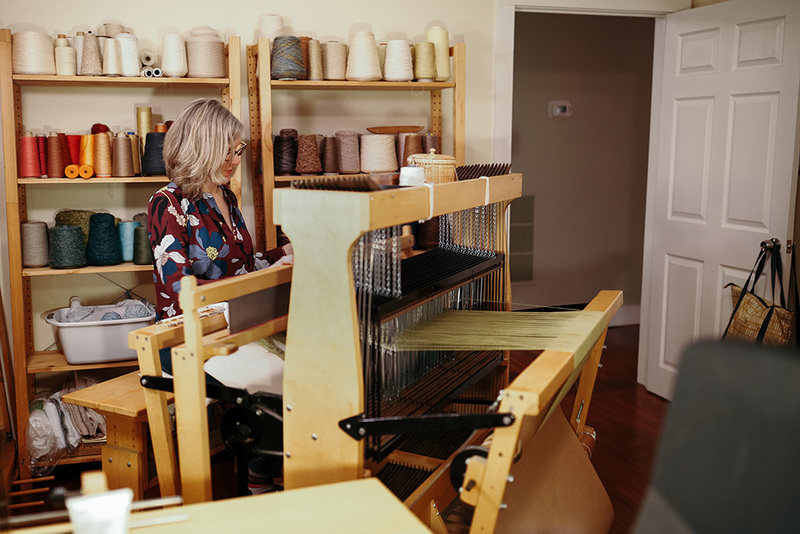 Last year I completed an online course, The Weaving Workshop, which was so liberating and I was excited to push myself again with a weaving challenge that The Weaving Kind hosts each month. I laughed when the theme for March was revealed: Function. Here I was trying to get away from function, and it became my design challenge. I went with it. Truth is, I love that weaving in functional. I love that weavers across time and the globe didn't simply make a piece of cloth to serve its function, but also to be beautiful while doing it. I love that what we wear or use in our daily chores can involve thoughtfully made, beautiful items. For the challenge, I decided to focus on making something for my home and settled on dish towels. Not decorative ones that would never get used (we actually don't have any in that category!) but towels that will stand up to regular use, and that can be washed over and over. I pulled a cone of cotton from my shelf and decided to focus on a honeycomb structure. A classic structure for towels, they add bulk and absorbancy. 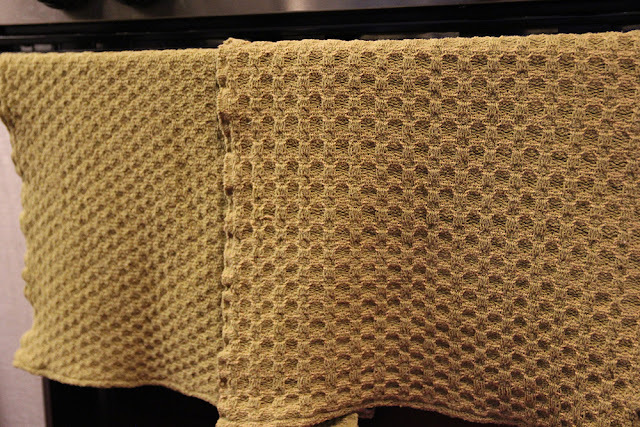 I added plain weave selvedges to help keep the shape and have clean edges that would function well in a kitchen. For one design I mixed in some contrasting cotton for effect, but for another I used the same yarn as the warp in the weft. I forgot how nice it is to let a structure speak for itself without adding any other elements. Honeycomb looks so different off the loom, it was so fun to wash it and see how it changed.